Perfect private country setting! Minutes from I-74. 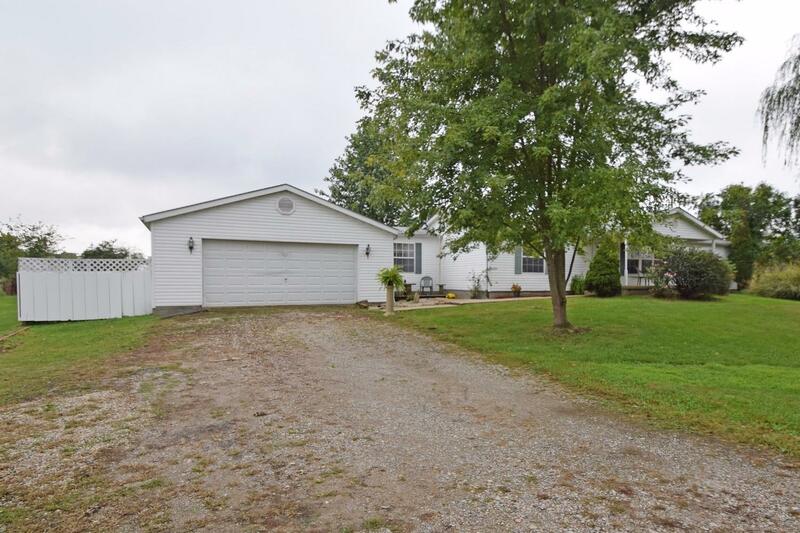 Ranch-style home w/fruit trees & pole barn on 5+ acres. Zoned agricultural. Open floor plan, vaulted ceiling, wood-burning FP, new carpet & fresh paint! Whirlpool tub. Move-in ready!